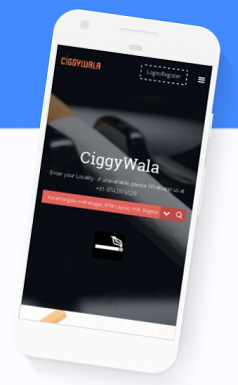 Ciggywala is India’s first dedicated platform for cigarette delivery. You can order cigarettes just like you order food online, with options to pay at the time of delivery through digital wallets, UPI & cash, with doorstep delivery in under 30 minutes! Cigarettes at Shop MRP: We have reduced the minimum purchase price to Rs 190 all-inclusive for a pack of 10 sticks. If you use PhonePe to pay, you get Rs 38 cashback (20%) credited instantly in your PhonePe account (to be used next time), and so the total price for home delivery becomes just Rs 152! Mumbai (Apr 22nd, 11pm): Bandra, Andheri, Powai, Malad, Jogeshwari, Santa Cruz, Chandivali, Goregaon, Kandivali, Thane, Parel, Worli, Vikhroli, Colaba. Brands: We currently offer 10 packs of GF Kings, GF Lights, CL Milds, CL Iceburst, Davidoff Lights, Davidoff Black and 20 packs of Davidoff Gold. 1. Preventing Drunk Driving: A lot of smokers, after a night of drinks, may decide to take a risk and drive/ride out looking for cigarettes late night. This can lead to a lot of unfortunate accidents which nobody wants. 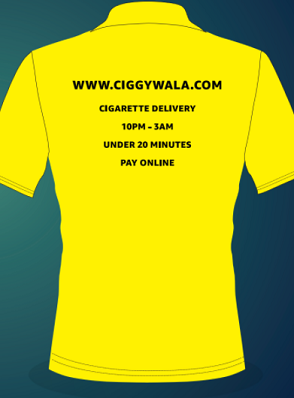 Ciggywala hopes to prevent this by giving these customers the option of quick, trusted home delivery. 2. Reducing Public Smoking: Our Government is making strong efforts to curb public smoking in the interest of all citizens, and having a cigarette delivery service right to your doorstep resolves that issue for many smokers. As we grow and cover more hours of each day, we can help reduce that much public smoking. 4. NO Loose Cigarettes, NO Illegal Substances: It is quite clear our Government chooses to ban the sale of loose cigarettes as far as possible. We therefore strictly deliver only packs, and one can never order any loose cigarettes. We also wish to make it absolutely clear, we do NOT deliver or help with any products or substances other than cigarettes, and will report any inquiries for illegal substances straight to the relevant authorities.